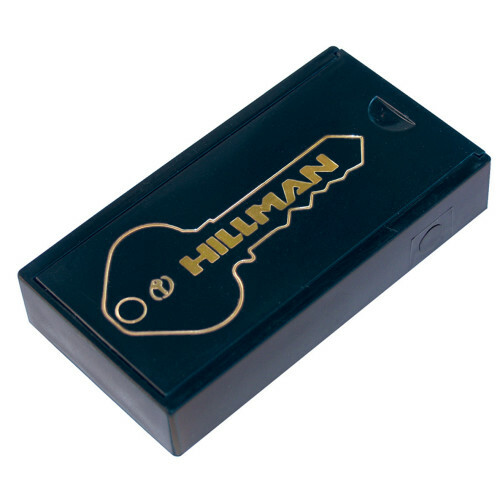 The Hillman Large Plastic Magnetic Key Case is made of a weather resistant plastic that will not rust or crack. Two heavy-duty magnets securely hold to most metal surfaces. Ideal for use on cars, toolboxes, etc. Fits larger & rubberhead keys. Ideal for use on cars, toolboxes, etc.